Explore Vietnam's remote northwest - the historic battlefields of Dien Bien Phu, the thriving hilltribe markets of Sapa and the stunning mountain scenery of Son La and Lai Chau. The remote northwest of Vietnam appeals to those wanting to get off the beaten track in one of Vietnam's most beautiful, unaffected and untouristed areas. 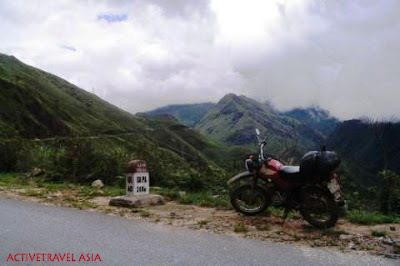 The travellers who do venture to Mai Chau, Son La and Dien Bien Phu often do so by way of a hired jeep and driver or do it by motorbike, while those striking straight north to Vietnam's hilltribe capital of Sapa avail themselves of the comfortable and efficient overnight train to Sapa. Whichever way you're headed, prepare yourself for stunning scenery as you pass through spectacular ravines and over breathtaking passes. 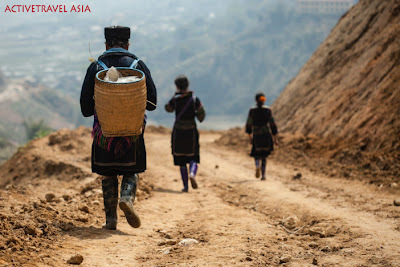 Best known for the burgeoning trekking centre of Sapa, there is a lot more worth investigating in this part of the country. The remote French firebase of Dien Bien Phu remains a drawcard, but it's as much the attraction of the trip there as the town itself that is worth visiting. 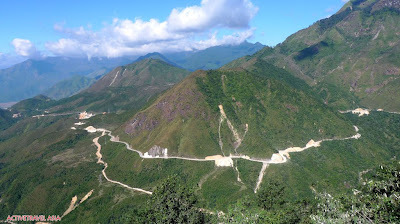 A trip to Dien Bien Phu is easily combined with an approach to Sapa via "the back way" over the Fansipan pass (Vietnam's highest), allowing for more stunning scenery and the opportunity to see some of the less touristed parts of the country. Another popular destinations is Mai Chau whose day-trekking and stunning scenery have helped it develop into a small tourist centre en-route to Dien Bien Phu -- many trips from Hanoi run out to Mai Chau -- and with good reason. It also forms a comfortable spot to rest those weary limbs before continuing onwards and up into the hills. 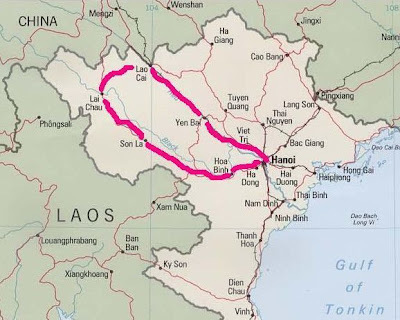 More and more travellers are now heading up into this part of the country, in part due to the long-awaited opening of the border crossing into Laos near Dien Bien Phu -- yes, it's true, you really can cross here now! This is a time consuming part of Vietnam to visit, but if you have the time, the northwest is well worth adding into your trip plans. Now if you’ve seen that episode then you’ll know just how amazing that experience looked. After seeing the episode for the first time, the initial awe of the entertainment, and speculation as to the reality of personally carry out something like this soon passed, after realization of the fact that this was a incredibly well funded show and each trip has a small army for back up and support. 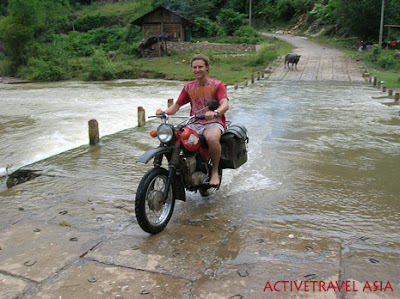 Discover Vietnam’s rugged and scenic northwest and its people first hand with ACTIVETRAVEL ASIA. By taking to the roads and riding from the capital Hanoi to the remote area of the northwest we can see life as it truly is for the Vietnamese. The perfect itinerary and the support crew ensure you get the most out of the trip in terms of comfort, enjoyment and adventure. 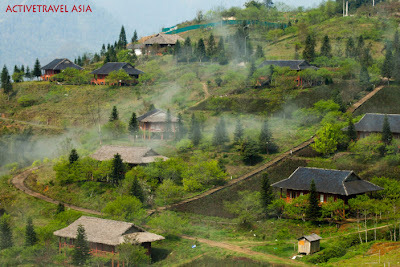 Along the way we encounter dramatic landscapes and sweeping panoramas as the rural population goes about its business.